ID-Cooling expands the DASHFLOW all-in-one liquid cooler series with a 360mm radiator variant – the DASHFLOW 360. 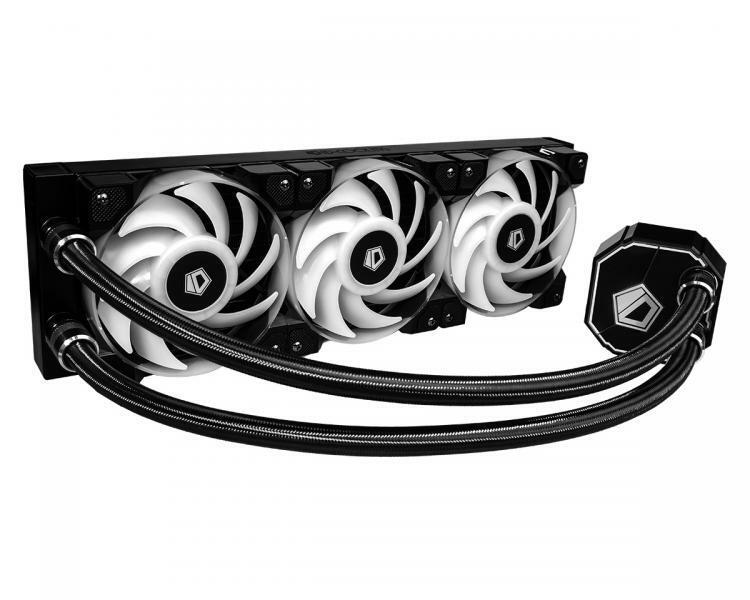 The ID-Cooling DASHFLOW 360 offers superb cooling performance for processors up to 400W TDP. It also features RGB lighting that supports motherboard-based RGB controllers such as ASUS Aura Sync, MSI Mystic Light Sync and GIGABYTE RGB Fusion. The DASHFLOW 360 has addressable RGB lighting on its water block and cooling fans for a complete RGB synchronization. The DASHFLOW 360’s three-phase motor delivers an increase water flow to enhance cooling performance. The motor has a fully enclosed bushing for higher fluid lift rate with ceramic bearings for low noise operation. 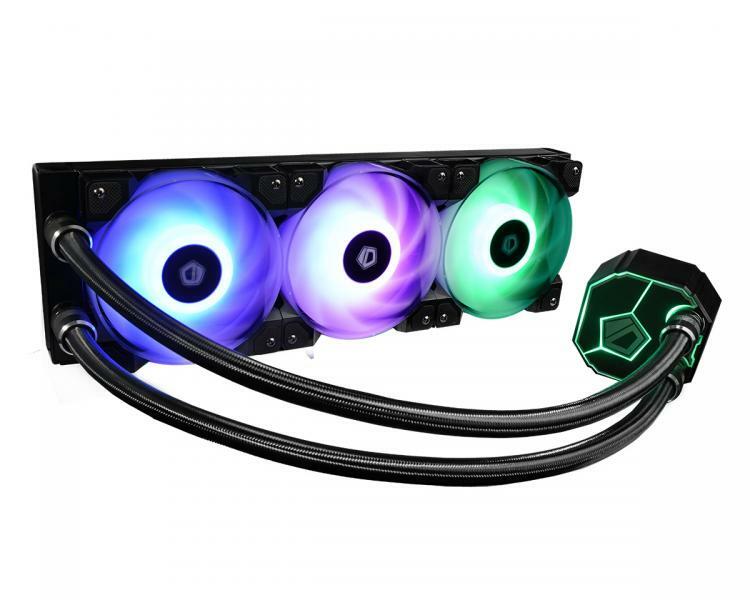 The included RGB cooling fans uses two ball bearings for a longer lifespan. It supports PWM function with a rubber noise dampener. It also packs addressable RGB to support RGB sync functions. The DASHFLOW 360 sports a 3mm-thick premium sleeved tubing with an inner diameter of 8mm for increased flow rate. Pricing and availability not revealed as of this writing. For more information, visit the ID-Cooling DASHFLOW 360 product page here.